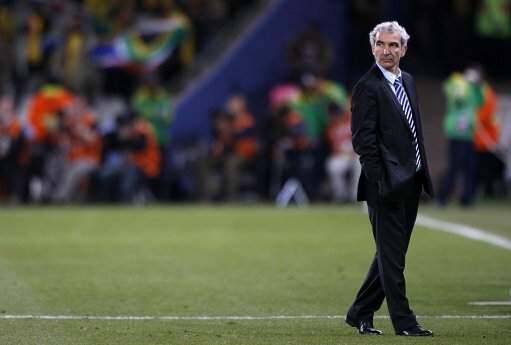 Despite turning the French national team into a quivering globule of merde during his six years in charge, Raymond Domenech is seeking £2.5 million in compensation from the French Football Federation (FFF) after he was sacked following Les Bleus disastrous showing at the 2010 World Cup. “There is no acrimony, no animosity,” said Domenech’s lawyer Jean-Yves Connesson in an interview with RTL Radio. “Monsieur Domenech is simply surprised that there was a political decision taken by the federation, which is separate and in defiance of their code of conduct, to allocate personal responsibility for a collective crisis. £2.5m for shafting French football. I would have done it for free. if he were to grow back that tach, all would be forgiven. i feel confident.